Derwin Gray is a 6-year NFL vet who played for the Indianapolis Colts and Carolina Panthers. 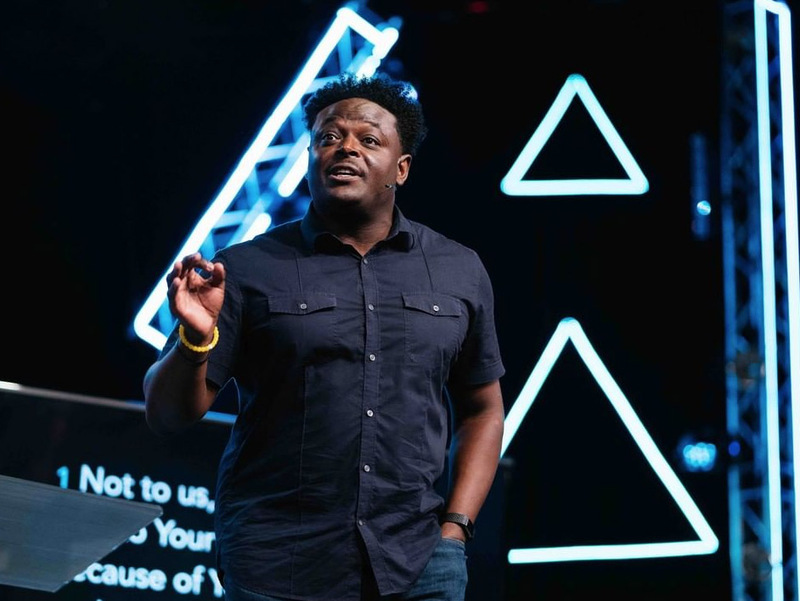 After retiring from the league, Derwin felt a calling to become a pastor and launched Transformation Church in South Carolina. Q. What is your proudest moment from your days playing football? When we were getting ready to leave after eating, she encouraged me again to go over and say hello. I made it past the security and said, ‘Mr. Marino, my name is…’ Before I could finish, he stood up, gave me a big bear hug and said, ‘Everybody, this is Derwin Gray! I've never been hit so hard in my entire career. I had to get blood drained out of my hip, and cartilage was torn in my knee because of him. Sit down and eat with us!’ I remember watching him when I was in middle school. He was one of my favorite players, so for him to respect my game was pretty cool. 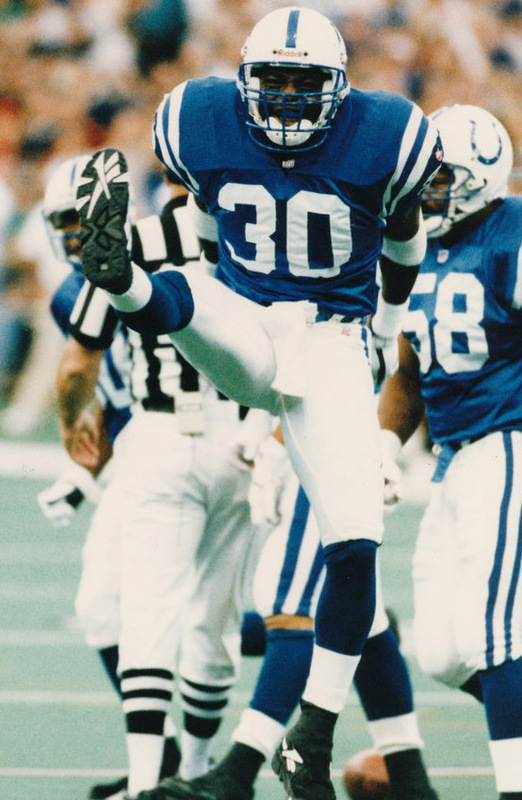 Another proudest moment was being nominated in 1995 as a team captain for the Indianapolis Colts. Q: When contemplating retirement, what questions were going through your head? The way I was raised, I knew I was going to do something after football. One of the reasons I went to Brigham Young was to get a quality education so when I got done playing I could secure a good job. At first, I wasn't really sure what I was going to go into. I had developed a passion for investing, so I considered going to work for Merrill Lynch. I went down to Columbia and I spoke. A lot of people responded to the message and ever since that day, my phone started ringing off the hook to go places and speak. 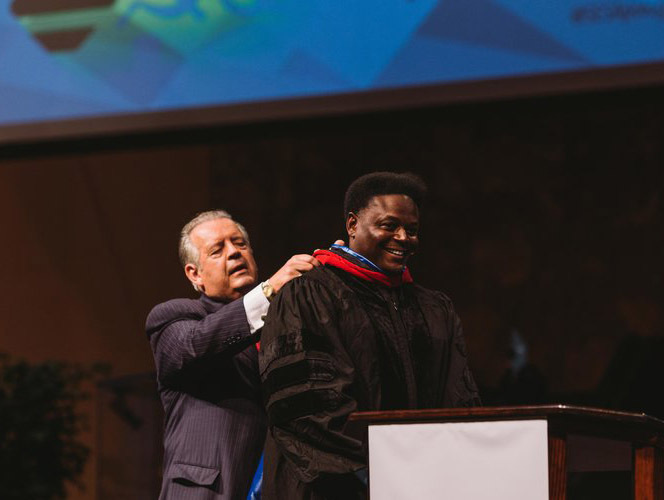 After a few years of doing that, I felt like I needed to get a theological education. I went on to get my master's degree which eventually led to starting Transformation Church in 2010. I just finished up my doctorate degree I started in 2018. Q. What led you to start Transformation Church? Neither my wife nor I grew up as Christians or people who were committed to Christ. It was through one of my teammates, Steve Grant, that I actually became a Christian in 1997. 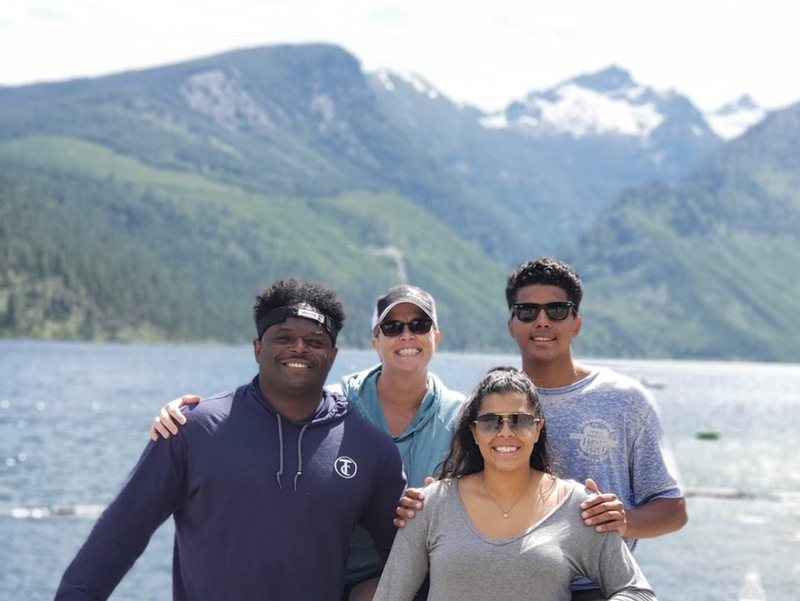 It felt like my wife and I left the very multi-ethnic NFL world, and then we became Christians and could either go to the black church because I’m black or could go to a white church because my wife is white. I said, ‘Where's the church where there's diversity?’ The longer we were Christians, we recognized there were not very many. There are hundreds of thousands of churches and at that time, less than 4% of those were multi-ethnic. 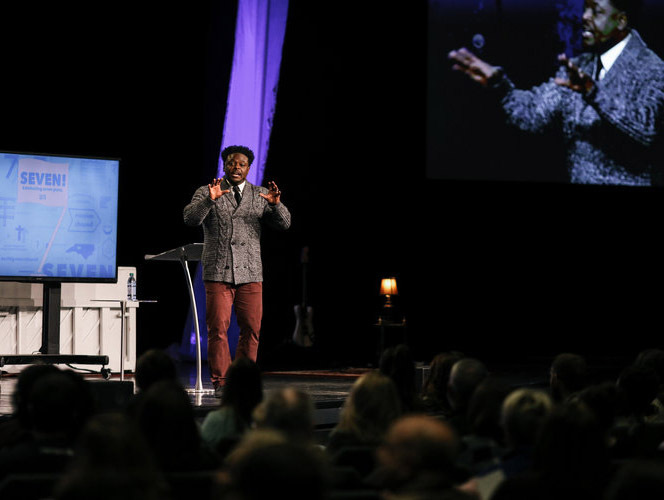 As I traveled and spoke around the country, I sensed God continuing to put that on my heart. As you read the Bible, you see it was an incredibly diverse church in Jesus' world. He was saying to me, ‘I want that in today's world, and I want you to help do that. I said, ‘Okay,’ and that's how we started Transformation Church. We wanted it to be a church where people who had never heard of Jesus could understand. We wanted to be a church where black people, white people, Asians, Latinos, young, old, poor, and middle class could all have unity to show the world what love looks like. Q. You are also an author. Talk about how you started writing. Coming out of high school, in order to accept my scholarship to BYU, I had to score 16 on my ACT. Even though that’s pretty low, finally after taking it three times I was able to get that score. It was not that I wasn't smart, it was just I came from a family where education wasn't really valued. I was one of the first high school graduates and one of the first to actually go to college in my family. I didn't know how to study, so when I went to BYU I learned. My wife who was valedictorian in high school and college taught me how. When I became a follower of Christ, I had this passion I was learning and wanted to share with people. Someone told me I should write a book and I said, ‘I don't even like reading books!’ God gave me this desire to write, and I became a really good writer. I've written four books, and my doctoral thesis was nearly 50,000 words. The cool thing about how God works is he will use your background and where you came from to take you where you're going. 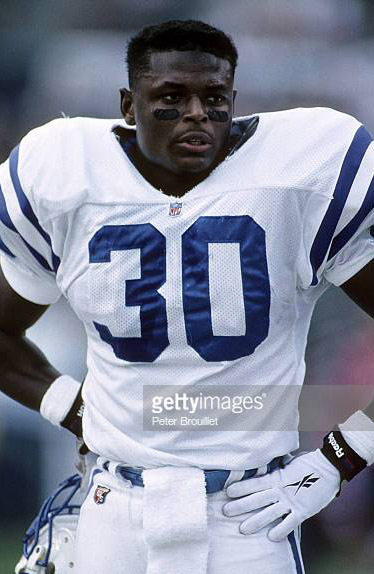 As a football player having to prepare for a game, study and work hard, all the grit that takes - God was able to use those skills to help me become an author, help me get my doctorate and help me become a pastor. As a pastor, I actually see myself as the head coach, God is the owner, all my staff are offensive coordinators, defensive coordinators, special teams coaches, position coaches, etc. and the congregation is the team. A lot of what I've learned about leadership, leading and writing I learned on a sweaty, hot football field. Q. What brought you to The Trust? It was actually my friend Steve Grant, the one who was instrumental in me becoming a Christian, who told me about The Trust. 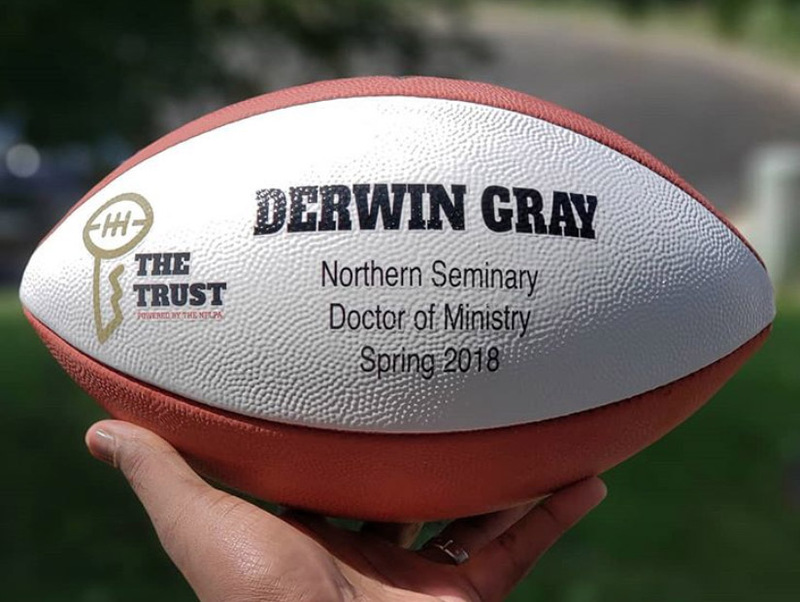 The Trust paid for me to get my doctorate, it didn't come out of my own pocket, it didn't come out of our church budget, The Trust paid for it. I'm super, super grateful The Trust is doing things to help players transition. Football is not a career, football is a stepping stone and a platform of influence. The Trust is doing a great job of helping us. I'm a huge beneficiary and a huge fan. I'm spreading the word to other players, ‘Here's an opportunity to educate yourself and better yourself so your football career isn't the highlight of your life. Q: What would you tell a player who's hesitant about reaching out to The Trust? On another note, I’d tell them how The Trust has really helped in regard to my son. My son is one of the top high school football players in the country. For him to see his father, who started out with a 16 on his ACT, go to a high academic school like BYU, graduate, get a master's degree, and then partner with The Trust and get a doctorate, I've seen how that has influenced him. It’s helped him realize, ‘not only can I be a great football player, but I can also be great in academics, I can use my influence and platform to make the world better.’ It has let him know being a football player doesn't mean you're a dumb jock, it actually means you're quite intelligent and education is important. I’m proudest of my marriage and my kids. I've been married for 26 years, and my wife is awesome. My 22-year-old daughter is on the pre-med track at UNC Wilmington. My son is an incredible young man. My proudest moments are being with my family, being able to be a husband and a dad. That’s not to discount some of the amazing things I've been able to do, but the thing that is going to last the longest is the influence on my family.